You can pick up used Wii Fit balance boards at thrift stores or flea markets super cheap. Matter of fact, my daughter and I we're at a thrift shop today and saw a stack of them for a couple bucks a piece. I knew that these connected to the Wii via Bluetooth, which happens to be a standardized connection feature in many devices now a days, and it made me wonder if they were hacked yet? I love repurposing everything, especially electronics, so I quickly did a Google search and discovered that they have a new life as intelligent digital scales. 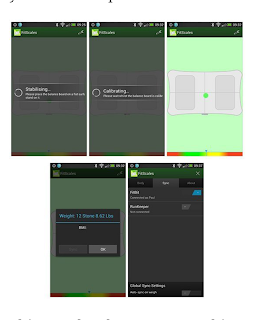 The folks over at Apartment Therapy did a pretty good job of explaining how to connect your Wii Fit balance board to your Android device and track your weight. The process is simple. Just download the free application and pair the Wii Fit Board and you are ready to roll.